Bit by bit, applications for Windows Phone 8 are accumulating in the Windows Phone Store, and Friday Microsoft added yet another to the mix. 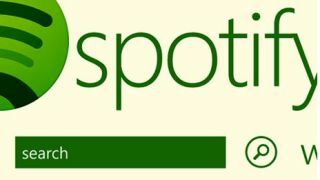 Spotify, service of so many songs, is now available in beta for download on newer Windows devices. Though it might be imperfect (due to the whole beta-dom) at least it's available. The app itself is free, as are the tunes for the first 30 days. After the free trial runs its course, however, users will have to pay US$9.99 a month for premium access. Spotifiers will know (or perhaps not) that the premium service runs on all devices - phones, tablets, desktops, laptops - with no ads, while the free and unlimited (US$4.99/month) are restricted to just laptops and desktops. Those looking to get the app on their Windows Phone 8 handset should note that the roll out is just getting underway, meaning it might be a few hours before it appears in search or is downloadable in all regions. Perhaps the app's sweetest selling point is its access-granting powers to playlists and downloads when there's no internet connection - perfect for those pesky times when you're Wi-Fi is spotty and you need a music boost. The ability to access tunes on any playlist simultaneously on a Windows Phone and PC is also a pretty nice perk. The Spotify app is a score for newer devices, which up until now was only been available on earlier Windows phones. The apps for Windows Phone in general have been perceptively thin compared to those for the iPhone and Android handsets. Microsoft tells us the Windows Phone Store is home to over 125,000 apps, significantly trailing Apple's 775,000 apps for the iPhone, iPad and iPod touch. Microsoft has some catch up to do, but at least it's got a way to make some "we can do this" playlists.